It is just around the world heritage Nijo castle. 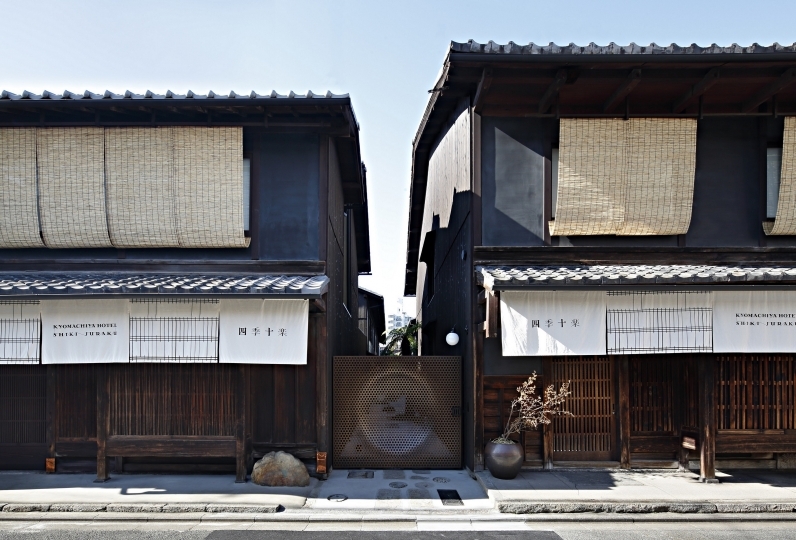 It is an inn in Kyomachiya suitable for Kyoto who won the "Kyomachiya Prize" at the "Kyoto Landscape Award" in Kyoto City. Limited to 6 groups a day. 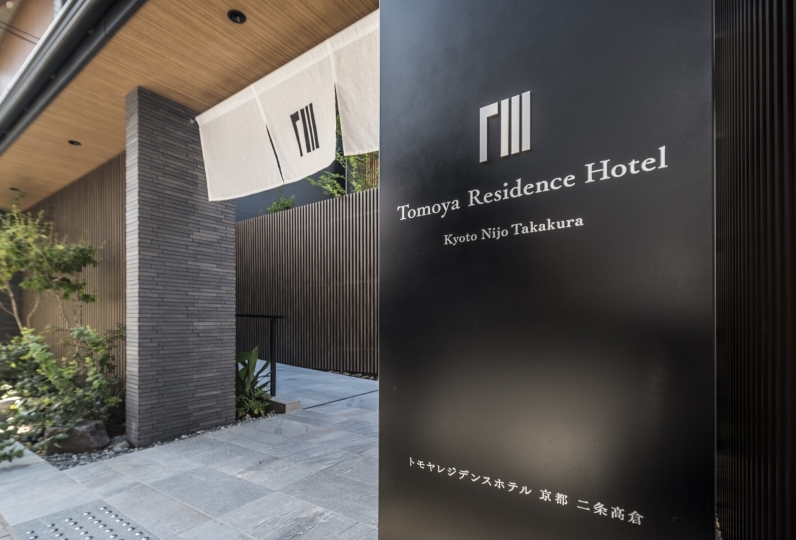 Six suites with different tastes have their own theme for each room. 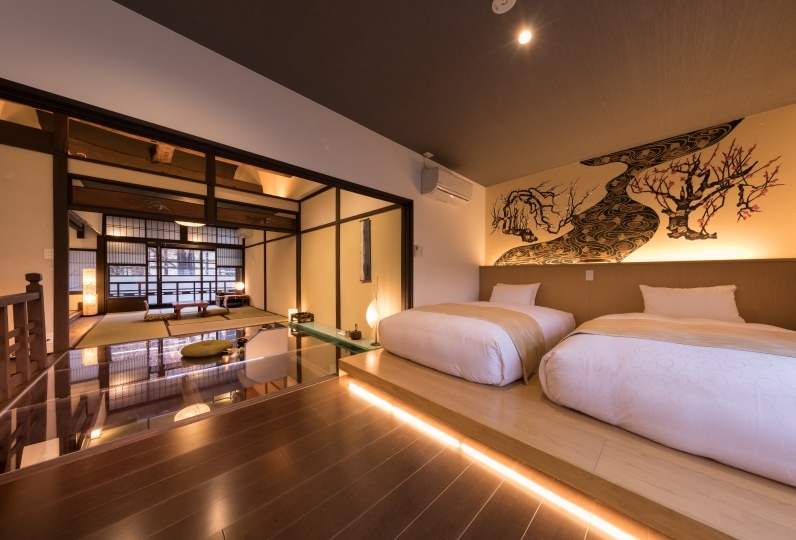 When the spring comes, the double cherry blossoms add color to the garden "Pond"
Jacuzzi bath and so on, there is a mechanism to heal every day tiredness in each room. We also have a kitchen and laundry, so you are safe for long-term stays. 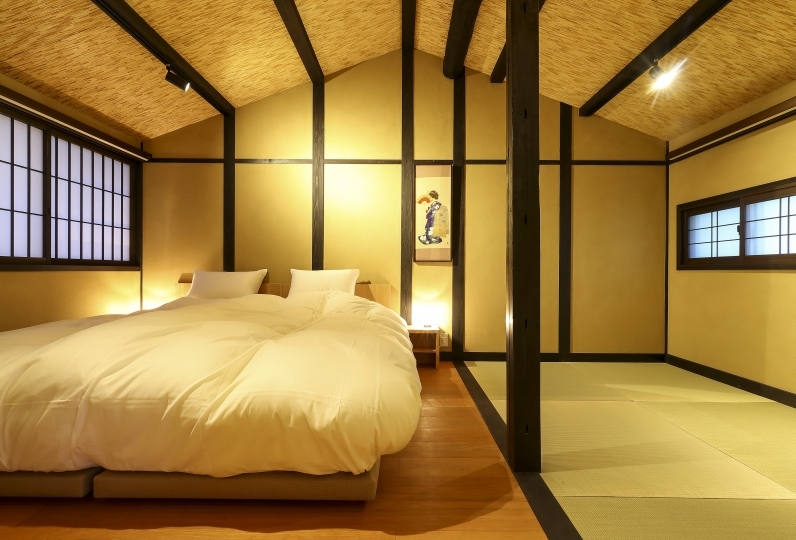 If you have something to ask at a trip, please contact the Concierge at the Kyoto Rabbit. Please do not hesitate to ask various reservations, recommended shops and sightseeing spots. "Usagi," or the hare, is a symbol near and dear to people since ancient times. A gentle emblem that everyone knows. Please come and visit the inn where such familiarity is felt. Very good room, good memories were made. 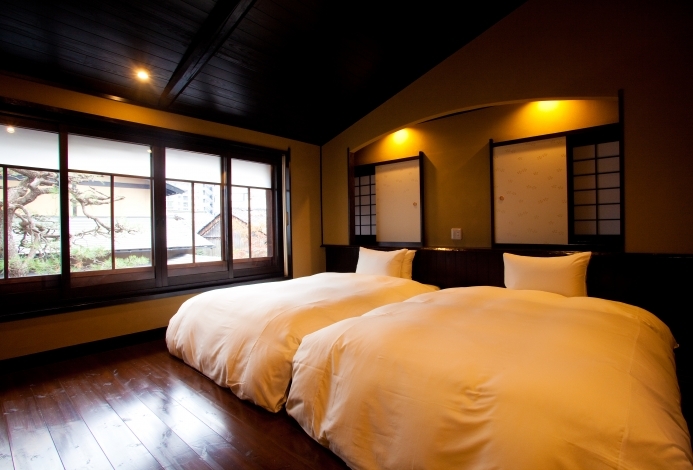 When going to Kyoto, I will stay at Kyoushusama Usagi. Thank you very much. All rooms equipped with Jacuzzi bath. 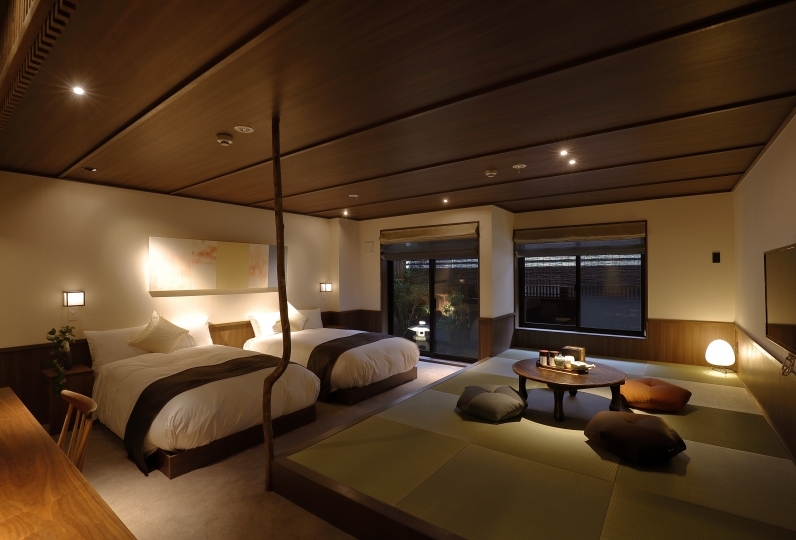 Rooms that can see the garden garden from the bathroom are also popular. By taxi: "Go east from Senbon-oike and it is the 6th building"
・We do not accommodate stays for children under the age of 13. ・The entire building is non-smoking.